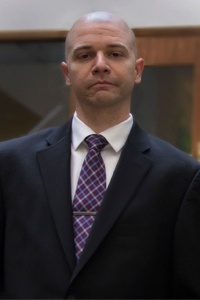 Jason Holder Attorney - Jason Holder Biography | National Legal Research Group, Inc.
After law school Jason served as a magistrate in Virginia’s 15th Judicial District. As a magistrate, Jason would provide an independent review of complaints of criminal conduct brought by law enforcement and the general public. He would issue various types of processes including arrest warrants, summonses, bonds, and search warrants as well as conduct bail hearings for individuals arrested on warrants charging them with a criminal offense. Jason served as a magistrate primarily in the Stafford County and Fredericksburg City Magistrates’ Offices before joining NLRG in June 2016.